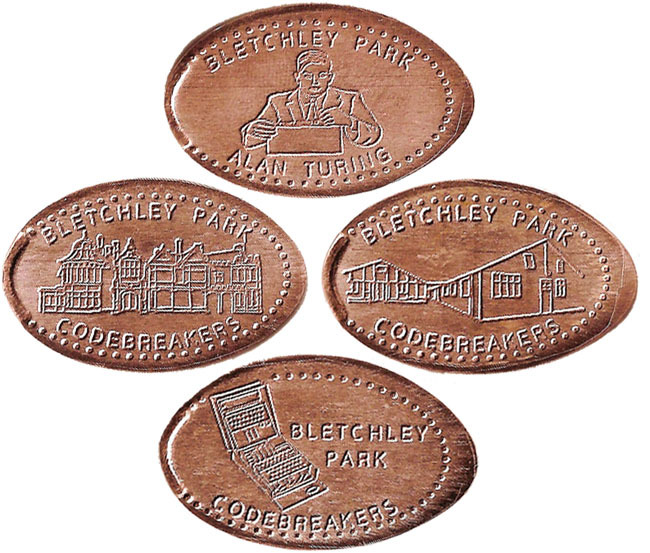 Bletchley Park, in Milton Keynes, Buckinghamshire, was the central site of the United Kingdom s Government Code and Cypher School (GC&CS), which during the Second World War regularly penetrated the secret communications of the Axis Powers – most importantly the German Enigma and Lorenz ciphers. The official historian of World War II British Intelligence has written that the "Ultra" intelligence produced at Bletchley shortened the war by two to four years, and that without it the outcome of the war would have been uncertain. The site is now an educational and historical attraction memorialising and celebrating those accomplishments. After what seemed like an age SouvenirPennies were successful in siting a machine in the gift shop, it is a four die wooden cabinet machine. All pennies have the dotted border. thegillion added Bletchley Park, The Mansion to system.